Download Shepherd from here . Over the next few weeks I’m going to post how to set up Security Shepherd on VMware Workstation. 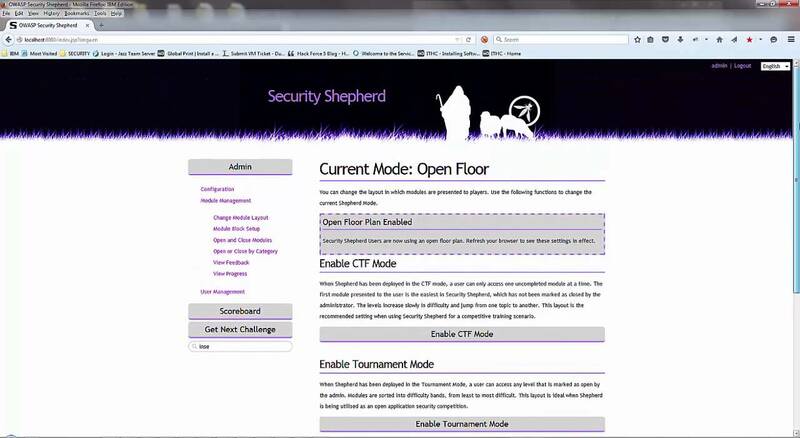 We will add to the main menu at the top of the page as we go at LSB Classes>Security Shepherd classes, so check back there for more solutions. If that wasn’t enough I will also post about how to set up Kali Linux as an attacking machine so you can try to hack Security Shepherd yourself. Then, finally, I’ll post the Security Shepherd solutions in posts over time. So you’ll have to come back and watch how it’s done. Please leave your comments below if you have any questions and stay tuned for some open source hacking (disclaimer) for educational purposes.